CHOOSE OFFICINA MECCANICA PANZERI ALESSANDRO FOR MECHANICAL COMPONENTS PROCESSING AND EXPANDING CORE CHUCKS SUPPLY. 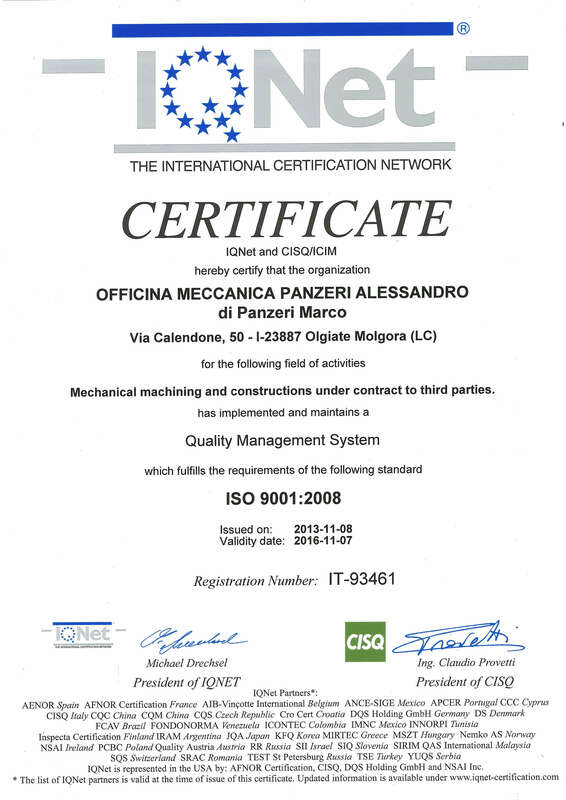 THE COMPANY BASED IN MERATE IS ISO 9001:2015 COMPLIANT FOR THE QUALITY SYSTEM MANAGEMENT. 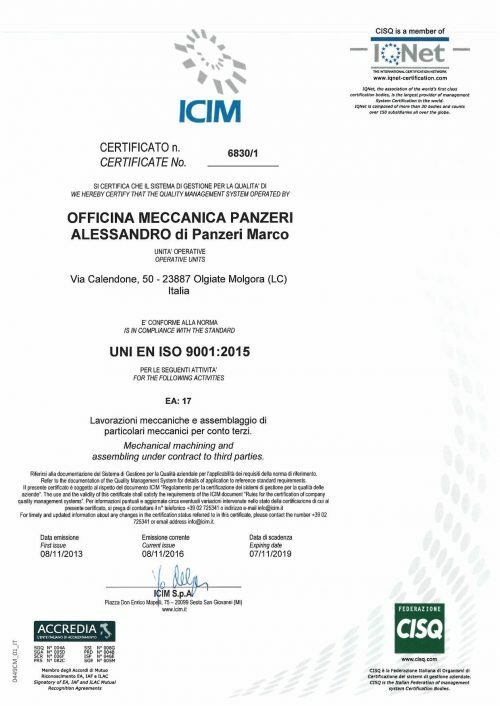 PAYS ATTENTION TO DETAIL IN EVERY MANUFACTURING STEP, IN SUPPLYING HIGH QUALITY AND ISO 9001:2015 COMPLIANT PRODUCTS.